Serendipitytreasure presents this sterling silver heart pendant necklace . 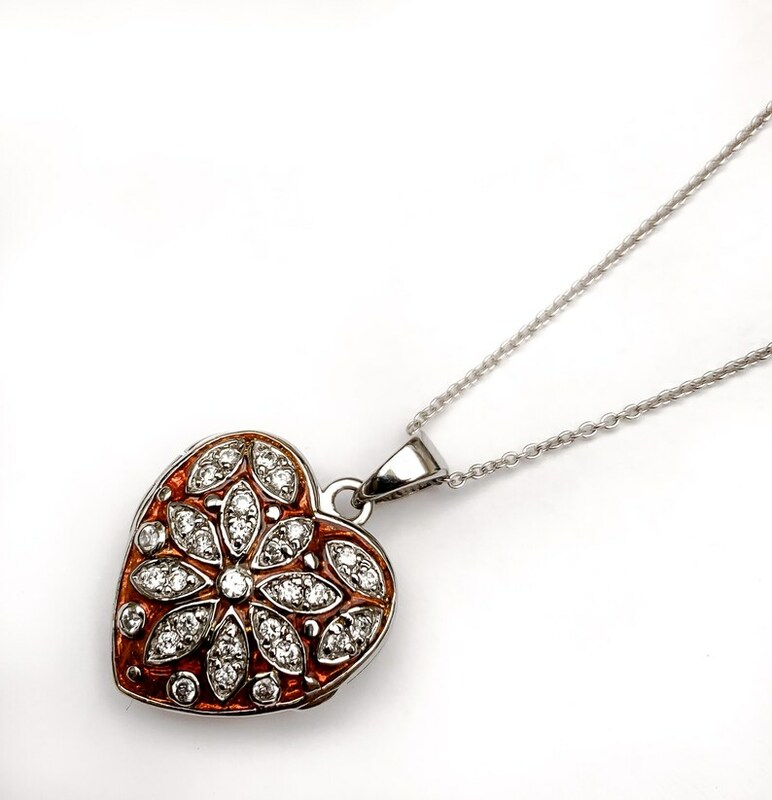 The pendant consist of sterling silver in a puffy heart with a red enamel flower on top encrusted with clear rhinestone. the back of the locket is open filigree design. the filigree design is open so liquid can fit inside the locket. it can hold small object like pills. The box chain i is marked 925 Italy . It is 18 inches long with a spring ring clasp.